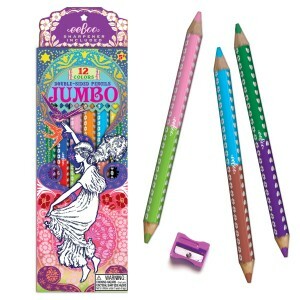 Washington Family Magazine Reviews eeBoo’s Double-Sided Pencils! 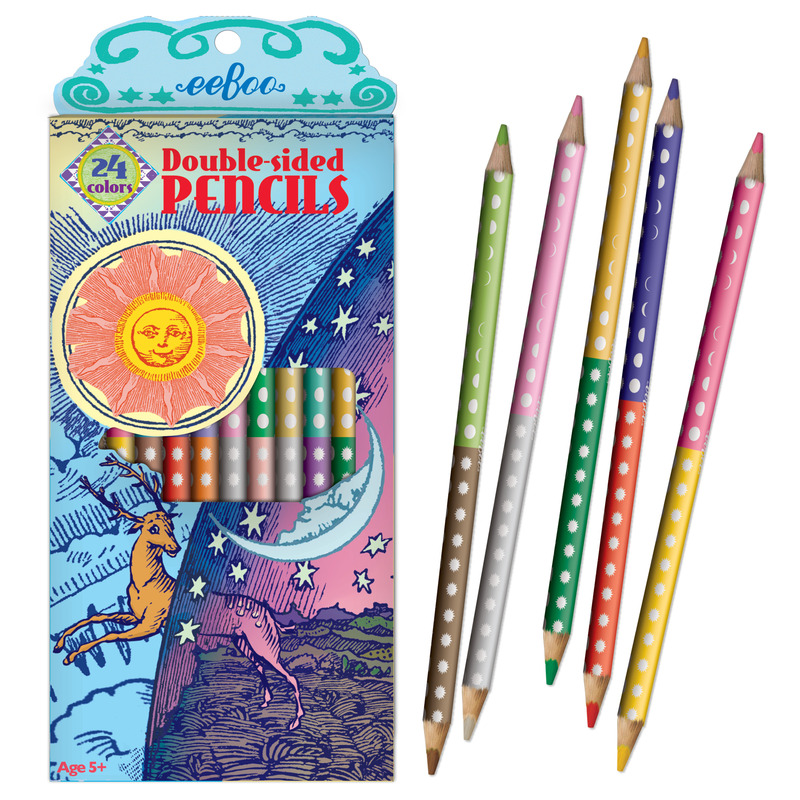 This month, Washington Family Magazine reviewed eeBoo’s new Double-Sided Pencils! eeBoo produces 2 styles of JUMBO Double-Sided Pencils, including the 6 JUMBO Dinosaur Double-Sided Pencils above. The illustration for this pencil set was done by Winsor McCay, the illustrator for one of the first ever animated films, Gertie the Dinosaur. eeBoo’s other jumbo pencil set, 6 JUMBO Girl In Stars Double-Sided Pencils, is illustrated by classic Australian children’s book illustrator Ida Rentoul Outhwaite. Every eeBoo Double-Sided Pencil has a different color on each side! 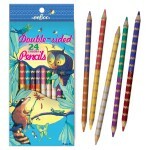 If you like eeBoo’s 6 JUMBO Double-Sided Pencils, you may also like eeBoo’s 12 Set Double-Sided Pencils. 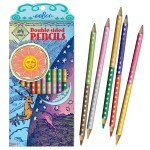 The beautiful artwork on the Sun & Moon 12 Double-Sided Pencils was taken from an old wood cut. 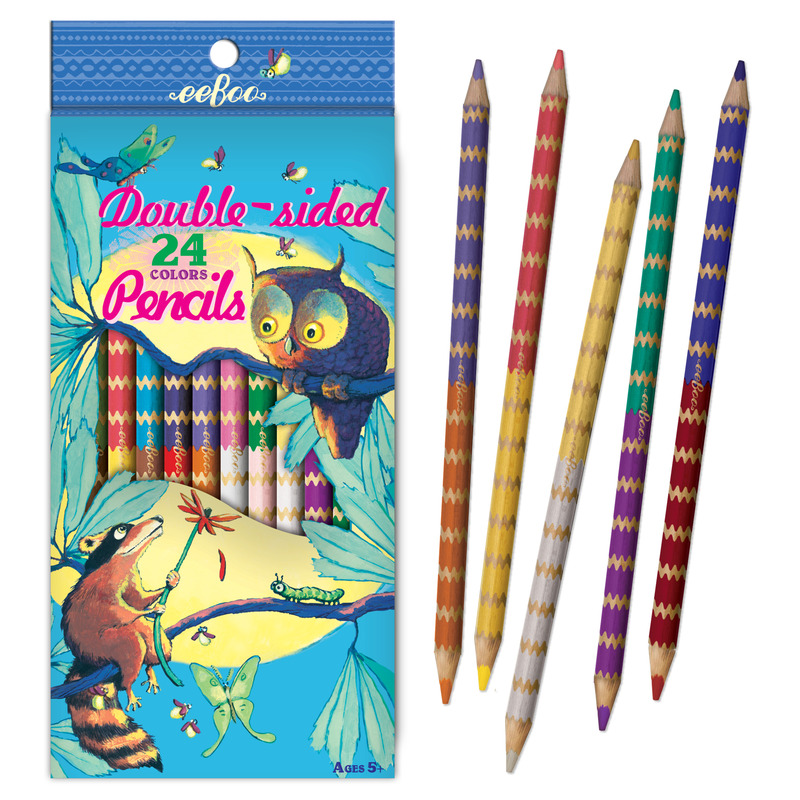 eeBoo’s best seller of the new pencils is the Owl & Racoon 12 Double-Sided Pencils, illustrated by Kevin Hawkes. You may also like to see eeBoo’s newest Sketchbooks! Each new pencil set, has a sketchbook cover to match!